With only a 2 percent increase in the Capital Expenditure budget, capital flows to hot categories like plant-based meats, French fries and pet foods. Demand drives supply. Manufacturers who believe otherwise and expand capacity in hopes of increased demand litter the dockets of bankruptcy courts. Just as Willie Sutton robbed banks because that’s where the money is, food companies build factories to make products that are in demand, preferably those with strong growth curves. This chart shows the top current projects for the food and beverage industry's top food companies. Case in point: French fry production. U.S. and Canadian companies are unmatched in terms of efficiency and throughput. The final sale may be at a McDonald’s in Asia, but odds are good that the spud was grown and cut in Idaho and other growing regions in North America. Global demand is increasing at a 6 percent clip, and North American processors are tooling up to meet it. J.R. Simplot, Lamb Weston and McCain Foods have undertaken multiple greenfield and major expansion projects in recent years. As an encore to a 300 million lbs.-a-year line in Boardman, Ore., Lamb Weston is adding a twin in Hermiston, Ore., to the tune of $250 million. That’s no small potatoes. Neither is the $16.2 billion in capital spending we’ve identified in this, our annual outlook on the subject. But that number is an anemic 2 percent increase over the budgets of the same companies from this time in 2017 (but a 14 percent jump over what was actually spent). 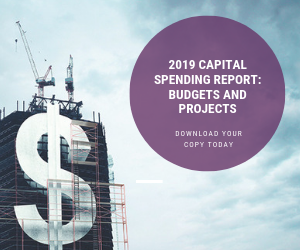 Although the 38 companies in our report forecast $15.9 billion in 2017 capital expenditures, they only spent a collective $14.2 billion last year, a phenomenon that’s happened the past four years in a row. But not in our 2014 report, in which the $16 billion actually spent in 2013 exceeded the nearly $15 billion budgeted for that year. Capital spending at those firms last year equaled 3.9 percent of sales, down half a point from 2016 but still on the high end of historical ratios. Protein foods seem to be the most active segment, along with high-end pet foods, suggests Tyler Cundiff, vice president of architectural and engineering firm Gray Construction, Lexington, Ky. On the human foods side, many of the projects involve meat analogs based on peas and other plant-based proteins. “We are seeing activity in that sector, and not necessarily small investments,” he says. An example is Pinnacle Foods’ Hagerstown, Md., facility, a $32.7 million investment in the company’s Gardein product line. Capital spending in food and beverage manufacturing generally is bullish, Cundiff and other A&E professionals say, a trend aided by the retirement of older plants that do not measure up to contemporary standards for food safety, efficiency and flexibility. Manufacturers who cater to health and wellness are leading the capex charge. An example is Nellson LLC, a copacker of nutraceutical bars and powders that recently christened a $70 million facility in Ontario, Calif. Sales volume tripled in the past four years, according to Bart Child, senior vice president-commercial development, and the company projects 9 percent-plus annual growth over the next four. Niche audiences for sports nutrition, wellness products and weight management bars are merging, justifying capacity investments, Child explained. A desire for more protein is the common denominator. His biggest challenge: procuring enough “alternative proteins” (peas, pumpkin, brown rice, etc.) because raw-material demand exceeds supply. Beet consumption mirrors growth in nutritional bars, thanks to the root’s heart-healthy reputation. Raw beets account for much of the growth, but people also value convenience, and that’s the niche Love Beets sought to address 20 years ago when the UK-based firm started operations. The company relied on a New Jersey copacker when it began U.S. sales, then invested $25 million in a Rochester, N.Y., production facility that came on line in 2016. Love Beets is part of the growing wave of foreign direct investment in the U.S. generally and food manufacturing in particular. Investments in food, beverage and tobacco production topped $171 billion in 2016, up from $58 billion five years earlier, according to the Organization for International Investment. A global trade war would spur investments by foreign food companies eager to lock in access to the U.S., Canada and Mexico. Even with a trade war, Love Beets likely will be spending capital dollars domestically. “We’ve got our eyes on Arizona, but that’s a few years away,” Cross says. Gentle processes and nonthermal treatment complement consumer desire for healthier eating. An example is high-pressure processing. The value of HPP-pasteurized products is growing at a 25 percent annual clip, reports Mike Billig, vice president-business development manager at Hydrofresh HPP. The tolling operation commences production in May in a $10 million greenfield facility near Toledo, Ohio. Hydrofresh is a business unit of Keller Logistics, a cold storage and logistics firm. “HPP tolling is very much driven by freight costs,” he explains, and Hydrofresh identified a 300-mile service void in northwest Ohio. Distribution logistics also were a factor in Nellson’s site selection – the company has two additional bar-production plants in Quebec. OFD Foods provides a more extreme example of logistics-based site selection. Three plants are clustered on the Albany, Ore., campus of the company formerly known as Oregon Freeze Dry, one dedicated to food processing and the others to medical and nutraceutical products. “A decent amount of volume comes from customers shipping product (from eastern states) to Oregon for freeze-drying and then shipping it back,” notes Kelly Goforth, director-manufacturing. Later this year, transportation costs will drop dramatically when OFD opens a fourth plant in Henrietta, N.Y.
Goforth credits growing interest in healthy foods with all their nutritional benefits intact for capacity expansion by freeze-drying companies. The UK company Chaucer Foods opened its first U.S. facility three years ago in Forest Grove, Ore., signaling growing demand for the technology. Fruit is the dominant application, but the premium pet food category also is contributing to growth. Some of the largest capital projects now under way involve pet food. Nestle Purina Petcare is building its first new U.S. plant in 20 years, a $320 million project in Hartwell, Ga. Champion Pet Foods is investing $178 million to add a third cook line at its two-year-old Auburn, Ky., facility. Americans’ infatuation with pork continues. Several pork processing plants opened in recent years, with more on the way. Prestage Foods anticipates an early 2019 commissioning of its $300 million fresh pork facility in Eagle Grove, Iowa. Hormel and Butterball have expansion projects under way for bacon products. Proximity to raw materials drives many site selection decisions, although other factors certainly play a role. Hometown pride is one. The founder of Lagunitas Brewing grew up in Chicago and built his second brewery in the Windy City, departing from the trend of West Coast craft beer companies constructing second plants in the southeastern states.The owner of Blue Marble Cocktails uprooted his Oregon manufacturing firm and relocated in Indianapolis, capital of his home state. The market for packaged craft beer may have reached saturation, and sales of mainstream beer are on a slow but steady decline. Nonetheless, one of the industry’s biggest capital projects in history involves mass-produced suds: Mexico’s Nava Brewery, just south of the Rio Grande. The first of three construction phases was complete when Anheuser Busch InBev was forced to sell the brewery in 2013 to Constellation Brands. In the fiscal year completed Feb. 28, Constellation poured $1-1.1 billion of additional capital into Nava; the prior year’s investment was $759.2 million, 84 percent of total corporate capital expenditures. From 2014-2021, Constellation estimates it will plow $3.9 billion into Nava. Miller Coors is laying the groundwork for a new brewery scheduled to open in 2019 in British Columbia and another in 2021 in the Montreal area. Both replace aged breweries. Manufacturers struggling for organic growth invest capital when it drives down production costs and boosts margins. A prime example is Kraft Heinz Co., which has closed seven facilities since the 2015 merger of Kraft and Heinz but still found $203 million to build a replacement plant in Davenport, Iowa. “Volume cures all ills,” quips O'Neal's Dixon, “and that generally drives you to a large plant” that can deliver the lowest cost of goods sold. Automation is the enabler for lower unit costs. Kraft Heinz estimates the facility will operate with a staff of 500. The plant it replaces, also in Davenport, employed 1,010 workers two years ago. “Many processors may not be prepared to make the capital investment necessary to fully automate,” notes Brian King, president of A.M. King, a Charlotte, N.C., contractor with a food-plant specialty. However, “they will typically consider some level of automation,” often in material handling and packaging. That scenario is playing out at Tribe 9 Foods, a Madison, Wis., organization formed two years ago with the acquisition of three companies playing in the gluten-free and natural products space. Two of those purchases came with manufacturing capability, and both shut down recently with the commissioning of a 50,000-sq.-ft. facility that will also provide copacking and private label services. Both start-up companies and major brand owners rely on copackers, and manufacturing investments like Tribe 9’s are increasing. “Comanufacturing is continuously strengthened,” says Dixon. “That’s always an active sector,” and some of the leaders have lowered unit costs of production to the point where brand owners can save money by outsourcing manufacturing to them. “Equipment manufacturers have been able to come up with safer, faster and more cost-effective ways to process and package foods,” seconds Cundiff. Advanced machinery enables both major facility upgrades and more modest investments. The need for speed to capitalize on product opportunities is growing stronger, whether it involves equipment procurement or a new or renovated facility. AE firms have compressed new-plant timelines to seven months, assuming extensive upfront planning and a smooth permitting process. Likewise, purchases of technologically advanced equipment require long lead times unless a shortcut can be found. “Sometimes you buy equipment off the trade show floor” to shrink the timeline, Dixon says. Auctions are another fast-track option. The former Quaker Muller Greek yogurt factory in Batavia, N.Y., provided such an opportunity. The facility, a joint venture between Pepsico and Germany’s Theo Muller Group, was in production only 18 months before it shut down a few years ago. HP Hood purchased the plant for one-fourth its original cost but had no need for the like-new fillers and other equipment, which were sold at auction in September. Opportunities like that are few and far between, however. For the most part, years may pass before a major plant investment begins to really pay off. Food companies that closed their books at the end of 2017 in most cases reported a financial windfall from the Tax Cuts and Jobs Act, which Congress passed Dec. 22. Kraft Heinz pegged the savings at $7 billion. ADM estimates the act lowered its effective tax rate to 0.4 percent in 2017 from 29.3 percent the prior year. B&G Foods projects a more modest $133.4 million reduction in tax liability, but capital expenditures are expected to go down. A chunk of that spending will leave B&G with less manufacturing capacity: $2.5 million will be used to move equipment from its Green Giant plant in Belvidere, Ill., to a copacker’s facility. One AE professional scoffed at the suggestion that tax cuts would spur more capital projects. “I usually find out, in a quiet conversation, that none of my corporate clients pay any taxes,” he confided. Costs for materials of construction, on the other hand, can determine if a project moves forward or is shelved. Should a trade war incites new tariffs on carbon steel and stainless steel, look for some planned projects to be cancelled. The directors of several publicly-traded food corporations approved stock repurchase plans soon after the tax cuts were approved. Capital spending plans, however, are unaffected. Those projects typically are funded through cash flow, revolving credit facilities and similar instruments. After all, why invest in manufacturing unless you are pursuing a new opportunity? There are many headwinds facing food and beverage companies and their new CEOs. Altruism isn’t enough to make plant-based protein competitive with livestock-based products.